Details: Join us for a fun day of "Creating for a Cause"! 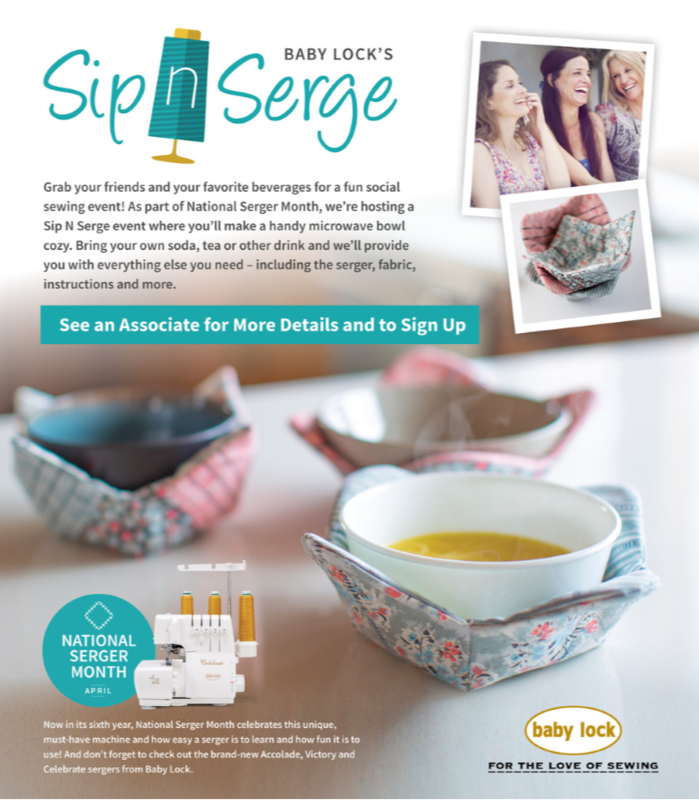 As part of National Serger Month, we are hosting a Sip & Serge event where you'll make a handy microwave bowl cozy. Event cost is $10, or bring a gift card/certificate for $10 (OR MORE!) for TEAM Dixon, a local non-profit organization designed to provide children in and around Solano County with special needs the opportunity to participate in local activities, sports and community building events. We are proud to support them and their efforts for the children in our community!